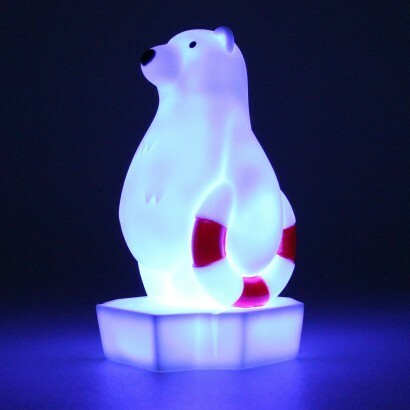 Standing on his hind legs holding a life saver and ready for a swim, this cute polar bear is lit by colour change LEDs for a soothing bedtime glow. 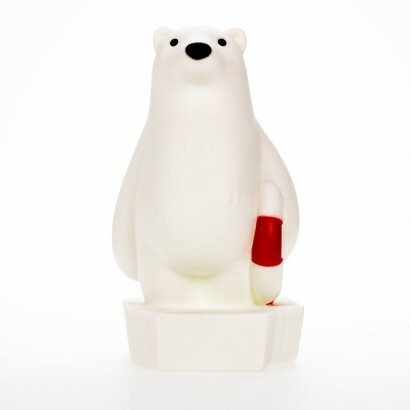 Standing at 16cm tall, this cute character is just the right size for bedside tables shining with just enough light to comfort and reassure reluctant sleepers with a colourful light show. 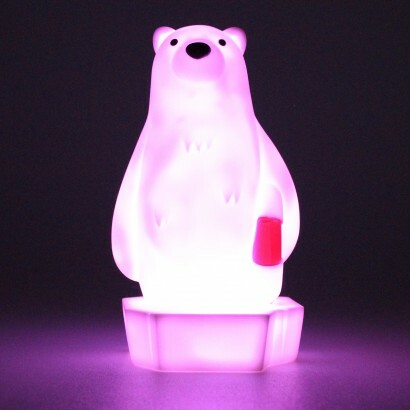 Battery operated, this charming light can be placed anywhere in kids rooms and fully portable can be taken on sleepovers too. 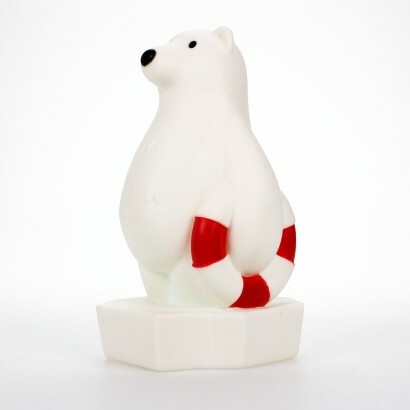 With a 15 minute sleep timer, this adorable polar bear stays lit just long enough to settle little ones at night.